In a small bowl, whisk remaining lemon juice with the honey and lots of freshly ground black pepper. add the 1/4 cup of oil while whisking until dressing forms, and you like how it tastes. 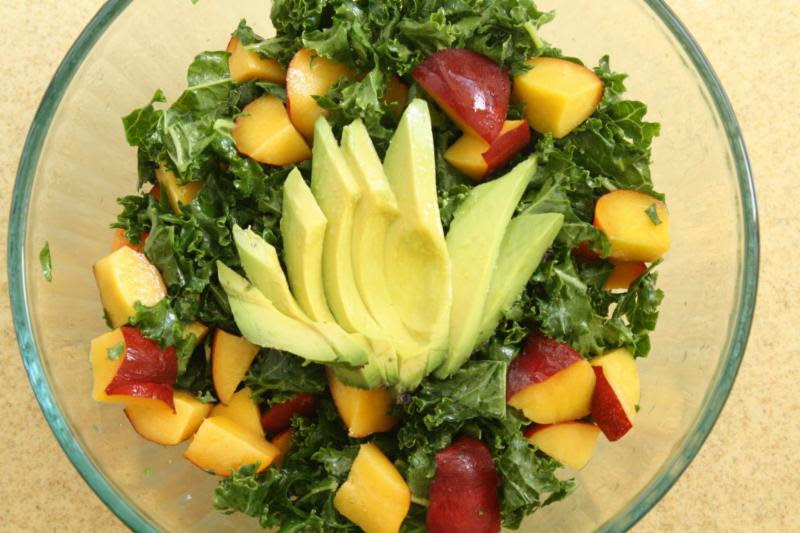 Pour the dressing over the kale, and add the mango nectarines and pumpkin seeds.